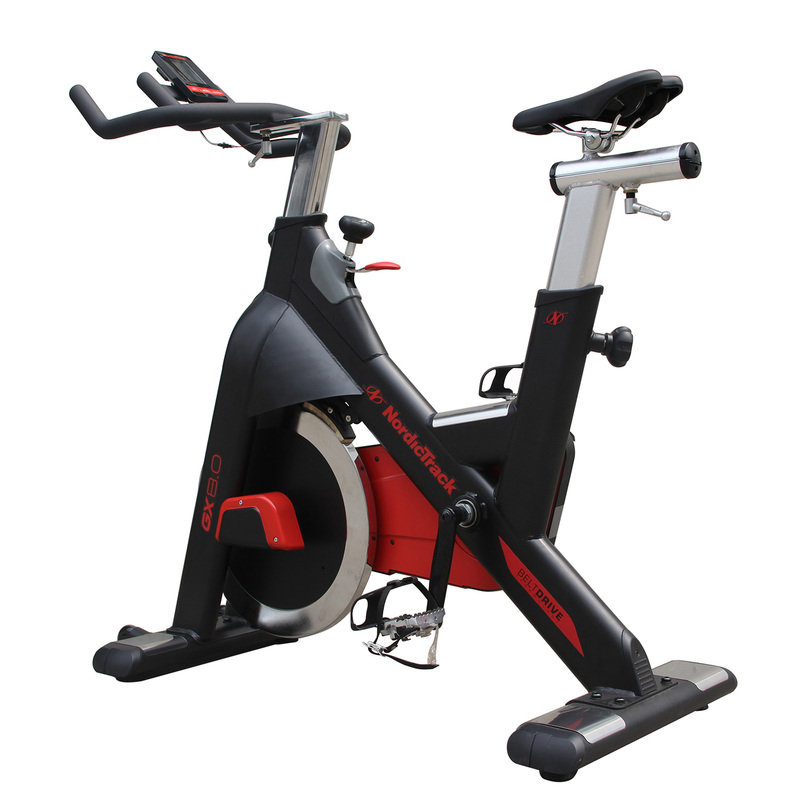 The NordicTrack GX 8.0 Indoor Cycle offers a superb at-home choice for those of you looking for a fun and safe workout. This bike is ideal for intense at-home training thanks to the sturdy design, high-quality material and the 22kg flywheel. Let’s take a closer look at the other features to see if the GX8.0 is the right bike for you. 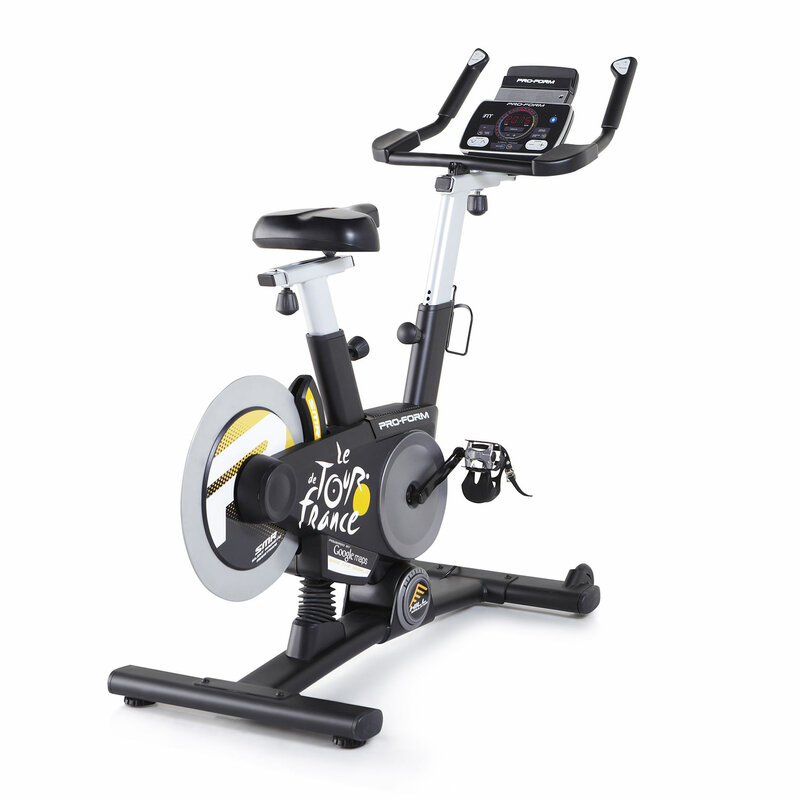 The above average 22kg flywheel ensures that there is no jolting or movement during your workout. You can reach top speeds with peace of mind that your bike will be able to support the pressure. The smooth belt drive system means that you can enjoy a consistent cycling motion which is ideal for beginner and advanced trainers alike. The handlebars are padded and adjustable to ensure a comfortable and safe riding position at all times. This is further supported by the adjustable saddle which can be altered both vertically and horizontally. It is vitally important when cycling to maintain a correct position whilst working out. Even the dual-sided pedals come with adjustable toe clips and straps for comfort and posture. SPD cleats create a firm connection for if you decide to wear specialized cycling shoes. Your heart rate information is captured by the wireless Polar chest strap which constantly feeds data to the console so that you can manage your workout level hands-free The console is a large LCD display which shows you, in real-time, your speed, time distance and calories. 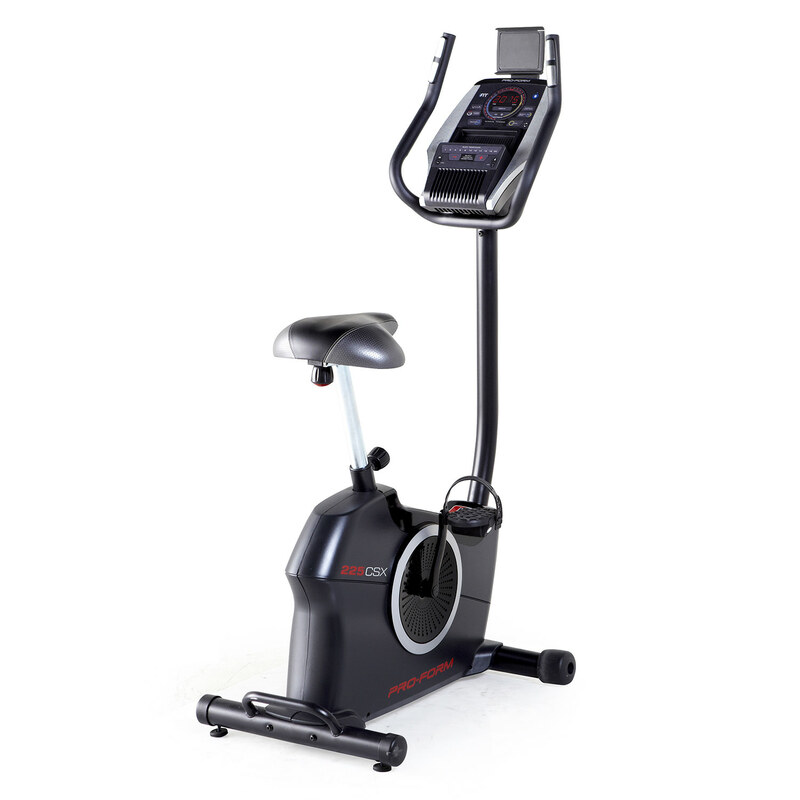 If you are looking for a more advanced system that can track your performance over time then the ProForm 225 CSX Upright Bike might be the right bike for you. The GX8.0 Indoor comes with 3 built-in professionally designed programmes. This selection is lower than others on the market but allows freedom for users to simply get on and start training with ease. 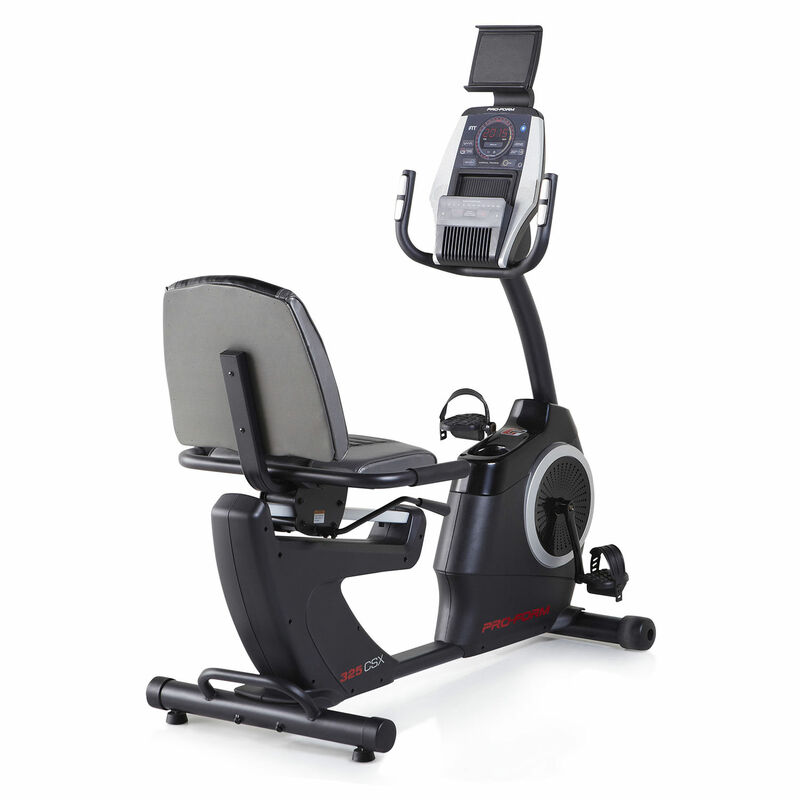 If you want a bike with more available programmes then the NordicTrack VX650 Upright Bike is an excellent option. The resistance levels on the GX8.0 Indoor can be easily altered by the turning of a dial. As with all NordicTrack products the GX8.0 is built from commercial-grade steel and is designed to last a lifetime. The lower level of complicated programmes and features means that there is little chance there will be an issue later on. It’s a durable and sturdy bike that is superb for users who want to ‘jump on and start cycling.’ The power of managing your own workouts is in your hands with the NordicTrack GX8.0 Indoor Cycle.